Contact us to set up a time for your standard or comprehensive site consultation. From there we can decide what is the best journey for you, your site and what you require. In our design studio we can guide you through the whole process from planting and lighting plans right through to full site plans including swimming pools, council consents, engineering, furnishing and indoor plants. Our super experienced construction team can install from your own plan as well as well as one of ours, Contact us for more information. Send us your requirements for your pre designed planting project and we can source and deliver these to your site. We have excellent plant knowledge and the skills to substitute plants that are not available or will not suit you or your site. We are now also offering indoor plants ready potted for your office space and home, please see the shop section for ready to go plants or contact us with your particular requirements. 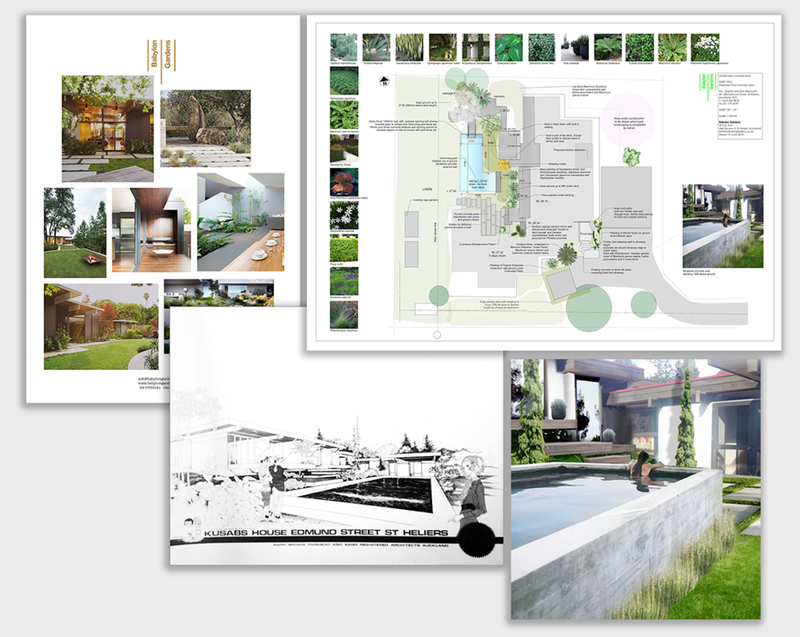 We are happy to do a site consultation to design the planting around your conditions. We can help you set up your new or existing outdoor space with source and supply of furnishings, shade, cooking etc. Contact us for more information. Click here to read Babylon Gardens' terms and conditions.